Kevin Werbach is an expert on the business, legal, and social implications of emerging technologies such as blockchain, broadband, and big data. An influential figure in Internet policy, Werbach served on the Obama Administration's Presidential Transition Team in 2008. He founded the Supernova Group, a technology consulting firm, and organized the annual CEO-level Supernova technology conference. He also created one of the most successful massive open online courses, with nearly half a million enrollments, and co-wrote For the Win: How Game Thinking Can Revolutionize Your Business. 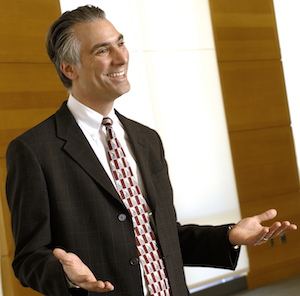 He was named Wharton's first-ever Iron Prof in 2010. Werbach was one of the first scholars to focus on blockchain and cryptocurrencies. 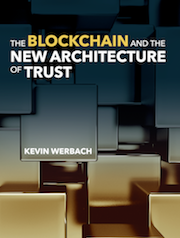 His latest book, The Blockchain and the New Architecture of Trust, was published in 2018 by MIT Press. Earlier in his career, he edited the influential technology newsletter Release 1.0, and helped develop the US Government's Internet and e-commerce policies as FCC Counsel for New Technology Policy in the Clinton Administration. The wildly misunderstood technology behind Bitcoin and other cryptocurrencies could change business and society as profoundly as the internet did. I see it as fundamentally a new form of decentralized trust. Big data, machine learning, predictive analytics, and artificial intelligence are transforming the landscape in virtually every industry. Yet these techniques can produce privacy abuses, unethical manipulation, and discrimination. What actually makes games fun? What do game developers understand about motivation and design that can be applied to business? How can “game thinking” go beyond surface-level points and rewards? Since the mid-1990s, I helped shape regulatory approaches to digital platforms as a policy-maker, industry analyst, and scholar. Technological developments continue to produce new legal and business challenges, but basic principles remain consistent.